Our new A Very Spooky Christmas Collection is so fun and versatile because of the array of colours. Our “ghost” polishes are all hologrpahic silver, but shimmer different colours. 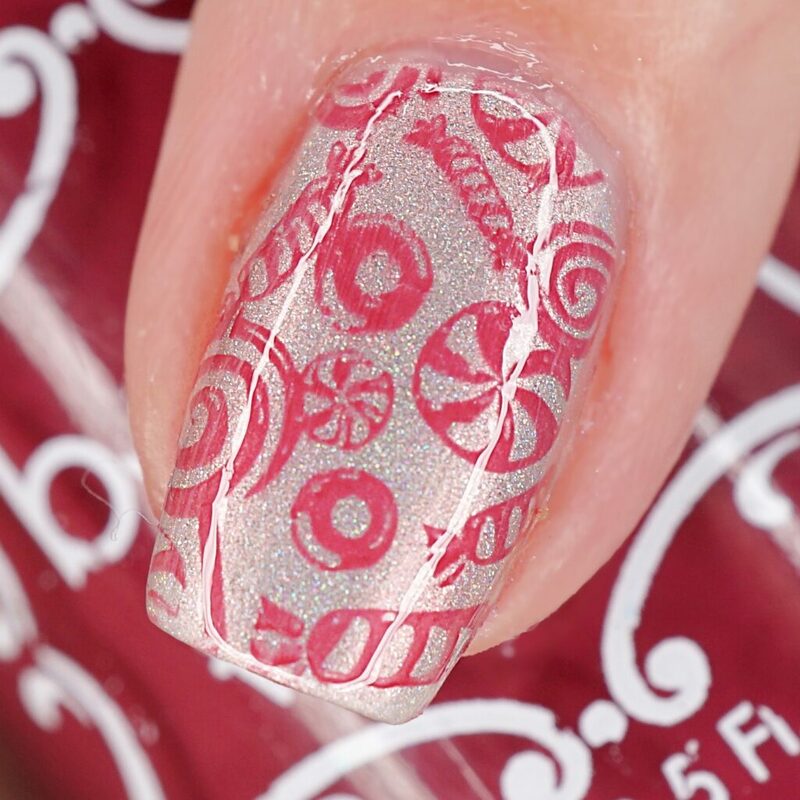 I thought it would be fun to stamp over this particular polish with the same colour of the shimmer. To make it more in line with the Christmas theme, I stamped over this polish with a peppermint candy design! I started by painting my nails with one coat of OPI – Nail Envy (this weather is seriously affecting my nails!). I then painted on three thin coats of Beyond the Nail – Ghost of Christmas Past. 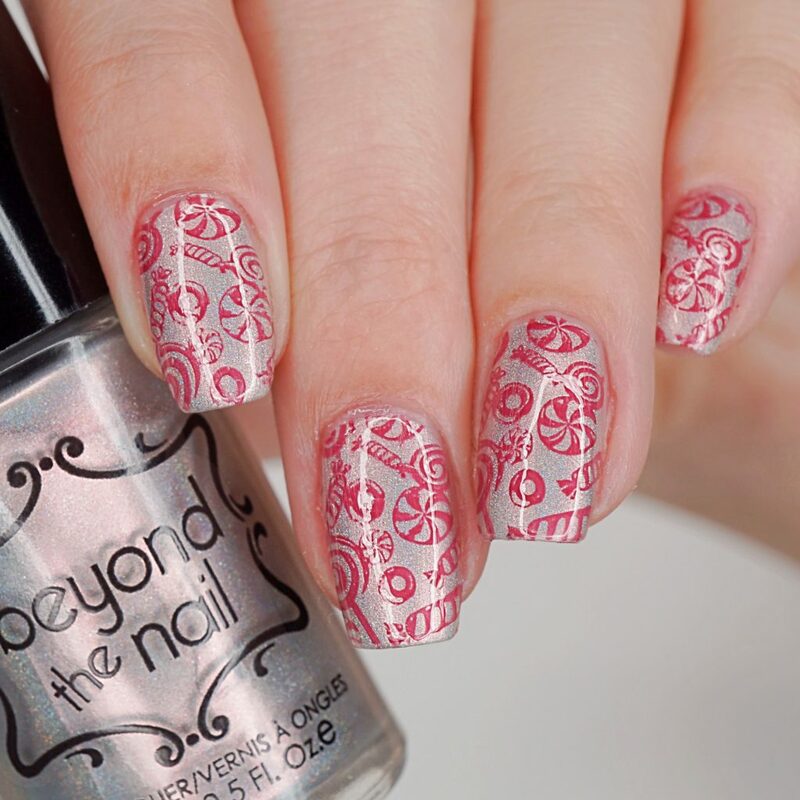 When it was fully dried, I stamped over it using Beyond the Nail – Rouge and Bundle Monster Stamping Plate – BM-306 (this is an old stamping plate from the now Maniology). To finish off the look, I painted over each nail with one coat of Beyond – Top Coat. 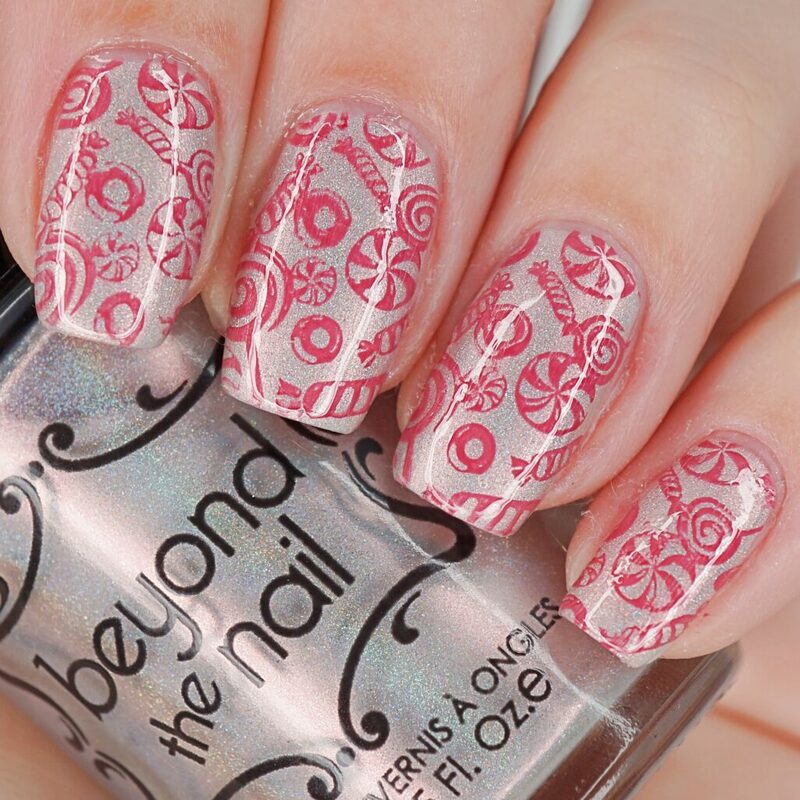 What do you think of these Peppermint Candy Stamped Nails?